Why not kick off today with a little bit of a wonderful Outlander throwback, looking back at what is one of the most iconic promotional photos in the series history? 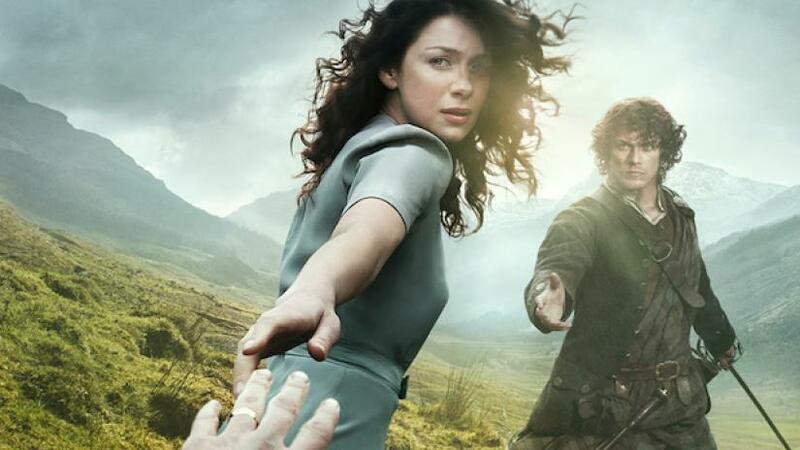 Heck, let’s go beyond just the series itself; the image above featuring Caitriona Balfe and Sam Heughan may be one of the most iconic promotional photos that we’ve seen over the course of the past several years. It was the first photo we ever used for the show at CarterMatt and it’s one that absolutely stands the test of time when it comes to both power and beauty. So how was this iconic image first created? Thanks to the magic of social media, we now have an opportunity to see! This image was created thanks to the work of skilled photographer Frank W. Ockenfels III, who took the shots on a chilly day in Scotland with Balfe and Heughan doing many different poses. There was also a fan present in order to tussle up Balfe’s hair, which gives the image the effect that you’ve likely seen a thousand times before. You can see a little bit of the production of this below via Ockenfels’ Instagram page. Ultimately, the production of this image is something that we admittedly haven’t thought too much about before today, but it’s something that we’re rather thrilled to have a little more insight on right now. Promo art ultimately defines a season — it gets people talking about your show, especially those who don’t know what it even is otherwise. For many out there, this image is the first thing they saw when it comes to Outlander and it gave them a sense of some of the complicated dynamics at play here for Claire. Obviously, the series has come a long way since and become a runaway success; yet, we don’t want to ever lose the impact that an image like this can have for generating specific reactions. Here’s to hoping that Starz is already working behind the scenes to create something equally fantastic for Outlander season 4 premiering this fall. Related – How much should Starz promote Jamie – Brianna meeting? Is this still your favorite bit of Outlander art? #tbt shooting at “rest and be thankful” in Scotland for the first season of #outlander #starz …. 40 degrees and yes being blown by a fan is the amazing @caitrionabalfe … never complained… great collaborator!